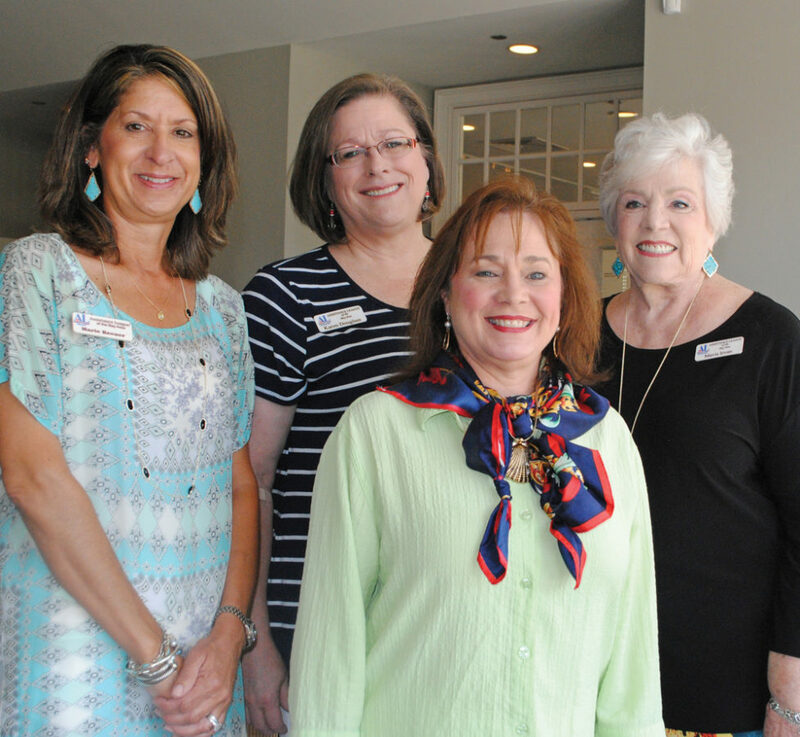 Elected Assistance League chairmen for the coming year, from left, Strategic Planning, Marie Keener; Assisteens Coordinator Karen Douglass; Marketing, Lisa Holbrook; and Education, Mavis Irvan stop for a photo at the May luncheon. ASSISTANCE LEAGUE outgoing President Dee Cover passed the gavel to incoming President Ann-Marie Doolin as she was installed, along with President-elect Sarah Foulds at the philanthropic organization’s annual meeting and installation luncheon at Bay Oaks Country Club. Others who’ll serve with them are Vice Presidents Katy Bastedo, Cathy Miller-Thornton, Jill Smitherman and Ellen Lancaster; Secretary Cathy Wolfe, Treasurer Barbara Weitenhagen, plus Assisteens Coordinator Karen Douglas, Education Chairman Mavis Irvan, Marketing Chairman Lisa Holbrook and Strategic Planning Chairman Marie Keener with Ann Hammond as parliamentarian. Gail Ashby is the recipient of this year’s Sue Brady Award — an honor presented for leadership and exceptional service to Assistance League goals while Jill Williams was given the Sue Holstein Award — an honor presented to any member who has continued to support Assistance League over the years and is a positive voice in organization — a body of work award.Brooks Cima, Beverly Braden and Gail Ashby are this year’s recipients of the A.B.C.D. Award, given to members who go above and beyond the call of duty — members who do not know the meaning of the word hours. 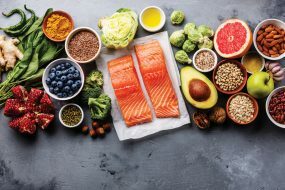 In later updating the membership on ALBA’s accomplishments, Dee noted that the annual Ball of the Wild gala in April netted more than $91,000 to help with their philanthropic activities. 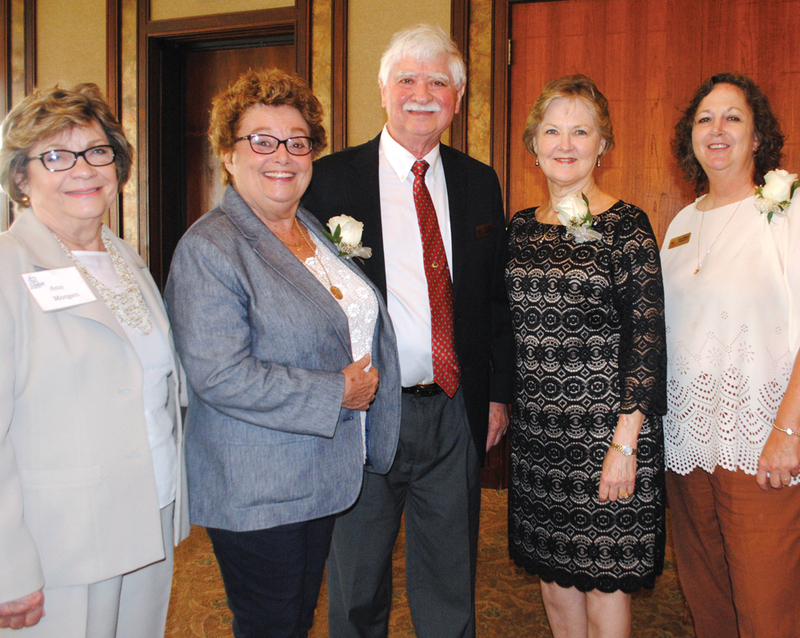 Symphony League Vice Presidents Ann Morgan, Patience Myers, Jim Moore, Glenda Toole and Carol Wilson, from left, share a light moment at the May installation luncheon at Lakewood Yacht Club as they begin preparing for the coming year. HOUSTON SYMPHONY League Bay Area members have chosen Martha McWilliams to lead their organization in the coming year. She was installed, along with the other officers, at the league’s annual May installation luncheon in the Lakewood Yacht Club ballroom. Nina McGlashan, a former vice president, was installed as the League’s president-elect and six vice presidents – Glenda Toole, finance; Jim Moore, education; Ann Morgan, membership; Carol Wilson, programs; Patience Myers, development; and Graciela Kavulla, communications were elected to assist in planning activities. Other elected officers include Recording Secretary Jane Lackow, Corresponding Secretary Alice Steele and Nominations Chairman Carole Murphy. 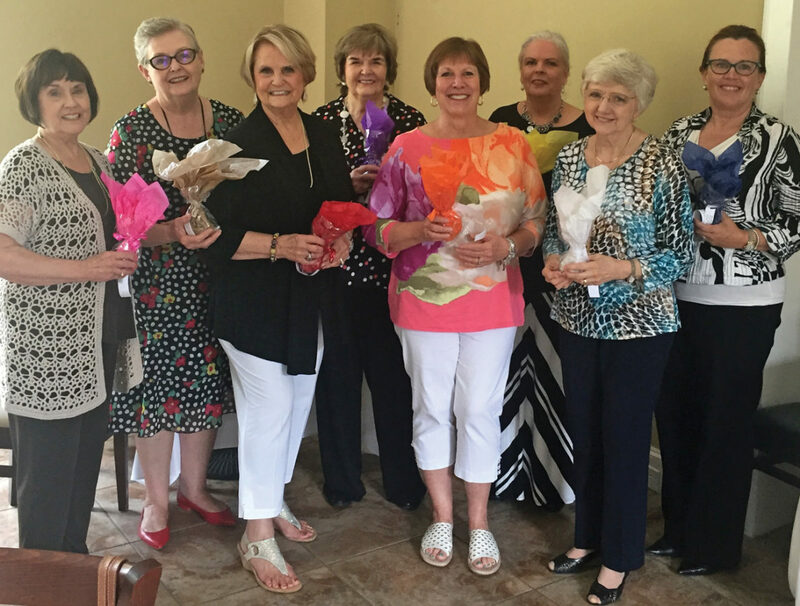 A number of past Panhellenic presidents were in the crowd at the May luncheon including, from left, front row, Judie Ferguson, Dana Brown, Ruth Beecher, Diane Overman, Pat McAllister, Peggy Clause; back row, Kay Lee Benoit, Jill Reason, Jennie Hampton, Ondi Lyon, Laurie Vaughn, Barbara Dickey, Hazel Harron and Kim Barker. 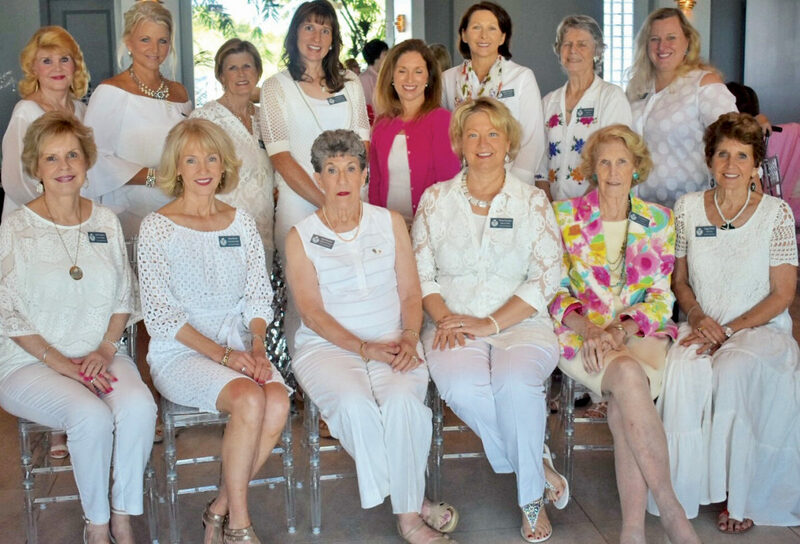 CLEAR LAKE AREA Panhellenic’s new president for the coming year is Michelle Richardson, who was installed at the sorority alumnae organization’s May luncheon. Others who’ll serve with her are First Vice President D’Lisa Johnston, Second Vice President Kathryn Vernau, Third Vice President Greta Mee, Treasurer Lisa O’Brien, Corporation Kay Lee Benoit with Past President Jill Reason taking the job of parliamentarian. Besides the installation of officers, another highlight was the presentation of college scholarships to several lucky young ladies — Micaela Torres, La Porte High School; Nazneen Ibtehaj, Clear Springs High School; Avery Wood, Clear Creek High School; Lily Cao and Juliana Bozeman, Clear Springs High School. 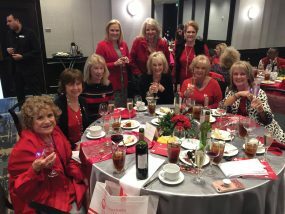 Many marveled at the large number of past presidents in the crowd besides Jill – Judie Ferguson, Dana Brown, Ruth Beecher, Diane Overman, Kay Lee Benoit, Jennie Hampton, Ondi Lyon, Laurie Vaughn, Kim Barker, Pat McAllister, Peggy Clause and Barbara Dickey. Bay Area Museum Guild officers and committee chairmen for 2017 are Directory Chairman Sandi Albritton, Parliamentarian Sally Jordan, First Vice President Jan Larsen, Co-President Carole Murphy, Corresponding Secretary Louise Russell, Hospitality Chairman Nancy Sanders, Treasurer Diana Dornak and Recording Secretary Gayle Nelson. BAY AREA MUSEUM Guild has not one but two presidents for the 2017-18 season – Co-Presidents Ava Galt and Carole Murphy. Others elected to help lead the organization are First Vice President Jan Larsen, Second Vice President Brandie Corrao, Corresponding Secretary Louise Russell, Recording Secretary Gayle Nelson, Treasurer Diana Dornak and Parliamentarian Sally Jordan. 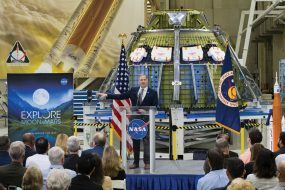 Among others playing major roles will be Directory Chairman Sandi Albritton and Hospitality Chairman Terri Monette with Mary Ann Baxter and Charles Smitherman serving as directors of the museum.